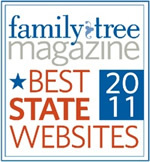 Western States Marriage Records Index once again included as one of the top 101 family history websites by Family Tree magazine. We want to know what you think of the new Special Collections and Family History web site. Please comment. Welcome to BYU-Idaho Special Collections and Archives. View our introduction page to learn about us and what we have to offer. View the Ricks College Scroll online from 1933 to 1975.